Arve Gravdal, Owner of Niri fish farms. About 26,000 salmon in an onshore tank at Machrihanish have perished due to chemical contamination. The Courier understands that chemicals got into the water supply of the recirculation system during the repair of the main water inlet, which had broken. In August 2016 Norwegian firm Niri AS’s giant tank in the Machrihanish Airbase Community Company’s (MACC) Gaydon hanger was hailed as a ‘giant leap forward for salmon farming’, and in May this year, at an Ugadale dinner organised by MACC, Niri director Arve Gravdal’s unique recirculation aquaculture system (RAS) was reported as a Scottish success story. On Wednesday when the Courier phoned Mr Gravdal in Norway and he confirmed the fish had died. Asked if the tank would be restocked he said he would need to take advice and call back. 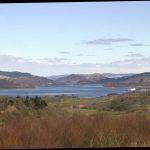 However, speaking to Fish Farmer magazine last week, Mr Gravdal was more upbeat and said that Niri had ‘met the milestones technology wise’ in Scotland but a problem with water contamination had recently forced them to close down the farm. A Radio 4 programme, broadcast on October 24 but recorded earlier, said that the aim was to produce 40,000 tonnes ‘when the technology kicks in’. 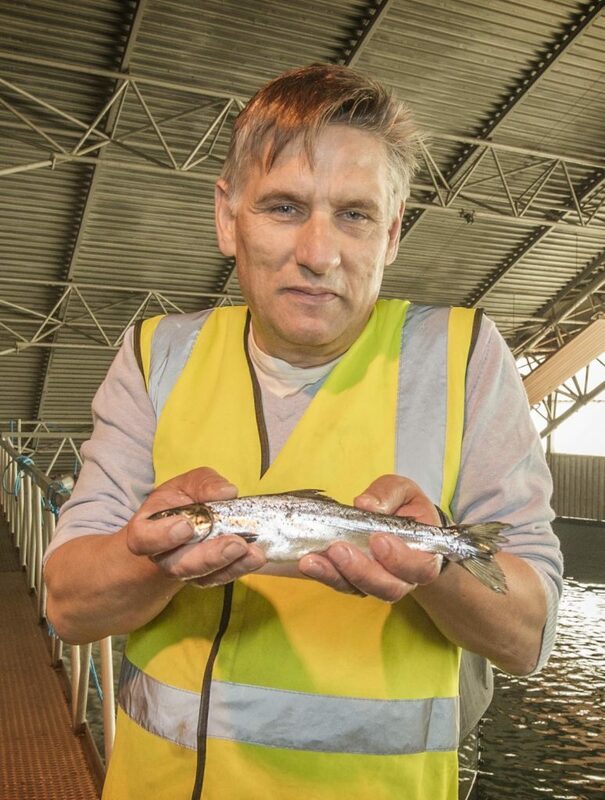 Apparently, Tom Heap, who presented the BBC programme – Fish Farms of the Future – visited Machrihanish and looked into the tank just before the whole project came to an end. He made no mention of any problems with the fish during his broadcast. 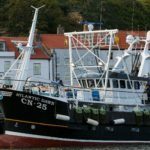 Mr Gravdal takes heart from the fact that new Norwegian backers – believed to be Andenes – saw the ‘very nice’ Niri fish and have decided to invest regardless of the outcome of the Scottish pilot.